Today at noon EST, Chris Vail’s Janis Trading Company launches five new models in the popular NTH Subs series. I’ve reviewed the first line of Subs and the second. I liked them enough to lay out my own hard earned cash for an Amphion Vintage from the first round. The latest class looks mighty tempting. Like earlier Subs, the watches are 40mm wide and 48mm long with 20mm lugs. These are impressive watches for the price. I’m still kind of amazed that Vail managed to squeeze a Miyota 9105 into an 11.5mm thick case and still make it water resistant to 200m. 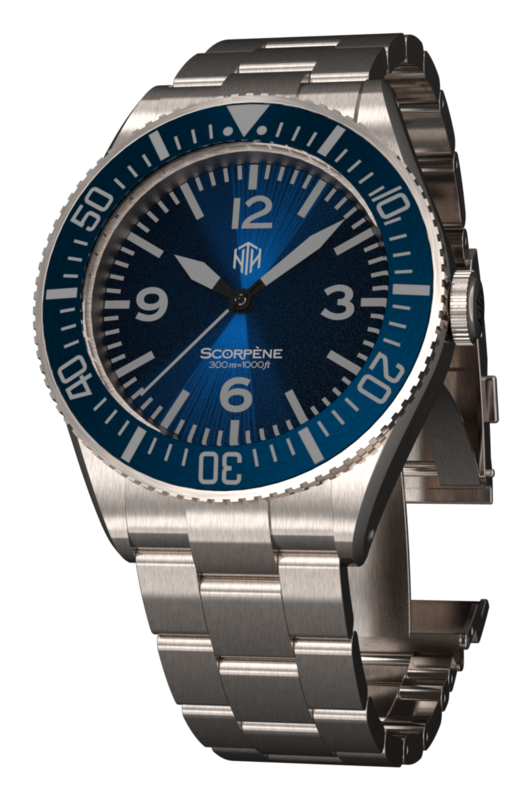 The watches feature double-domed sapphire crystals, lumed bezels and crowns, and fabulous dial designs. The new models will sell for $600 or $625, depending on the model. There is no pre-sale discount this time, but also no long pre-sale wait. Delivery is expected in August. 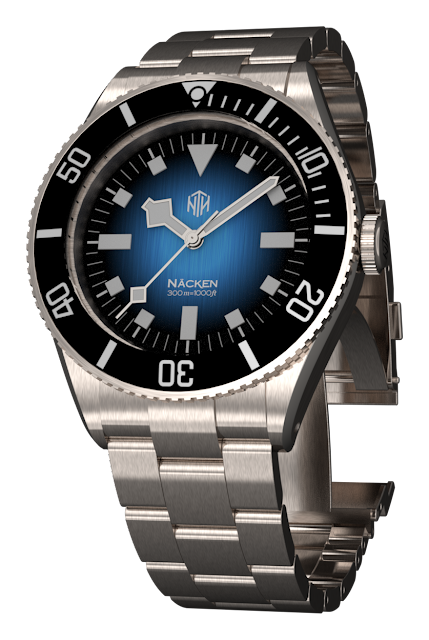 The Näcken - Renegade (pronounced “nehk-ehn”): This is the 5th Näcken design and features a vertically brushed blue, face-to-black dial with thick-printed indices and black bezel. The Barracuda, Blue: The people spoke, and NTH answered. This is a sunray blue version of the original Barracuda, complete with gilt-trimmed hands and indices, and matching blue bezel. 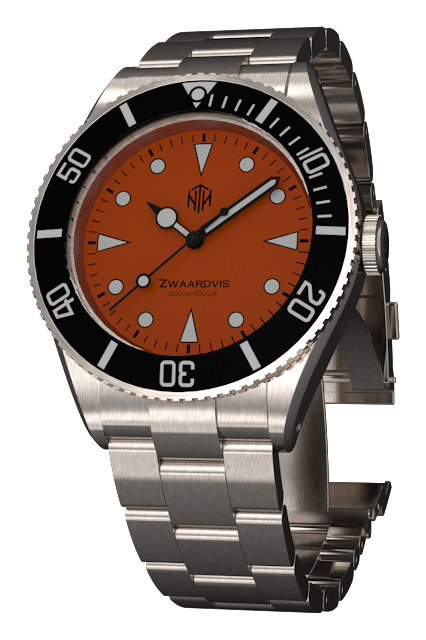 At this time, the five new models are only offered through the Janis Trading Company website, but other NTH subs can be found at Serious Watches in the Netherlands, Watch Gauge in the USA, and Watch Wonderland in Singapore. By the way, if you want your Subs info right from the source, Vail will be live on Facebook from the Janis Trading Company Facebook page right around launch time (noon Wednesday, June 13 12:00 pm EDT (GMT-4)) to talk about the new NTH Subs and answer questions.